The Beatles’ seventh album, Revolver, was released on August 5, 1966. It featured 14 original songs, including three songs by George Harrison. Years later, critics and fans would hail this as the best Beatles album ever made. 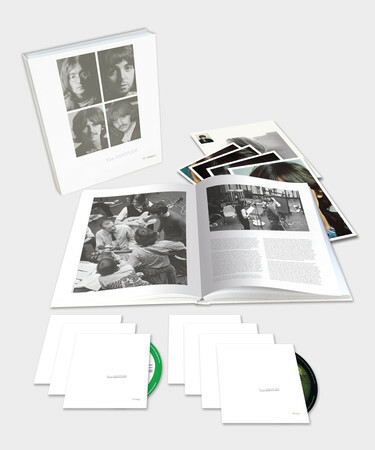 The album cover featured an elaborate illustration combined with small photographs designed by The Beatles’ old friend from Hamburg, Germany, Klaus Voormann. Revolver was a further departure from the traditional Beatles album. The Beatles music and lyrics kept expanding and progressing to new heights. The range of musical styles on the album was also impressive. Drugs continued to be an influential part of the creative process for the Beatles. Although they agreed never to be under the influence while in the recording studio, their songwriting was heavily influenced by drug intake, especially John Lennon’s songs. The Beatles had first experimented with LSD in 1965. New recording techniques were also used on Revolver including backwards recording. The Beatles first used this technique on their earlier single “Rain,” which was released with “Paperback Writer” in June 1966. John was basically explaining that overall it seemed like people were more loyal and dedicated to rock groups than they were to religion. In England, the interview was treated as just another interview with the Beatles. However, in August of 1966, an American teen magazine, Datebook, extracted a few quotes from the full interview and printed them. These remarks taken out of context created an uproar in the United States, especially in the Bible Belt. People were urged to destroy and burn their Beatles records and memorabilia. The Beatles received death threats from hate groups such as the Ku Klux Klan. The Beatles had just returned from a disastrous experience in the Philippines where they were practically attacked by an angry mob when leaving the airport. With the backlash in the U.S., the Beatles were tempted to cancel their upcoming U.S. tour in August 1966, but The Beatles’ manager, Brian Epstein, convinced John Lennon to make a public apology instead. The tour proceeded as planned, but the potential danger was enough to convince the Beatles to make their decision to stop touring. The Beatles had reached a turning point in their career. They no longer needed to tour for exposure or money. They did not want to tour because they could never hear themselves play over all the screaming, and their complex studio recordings were becoming more difficult to recreate onstage. Plus the threat of danger on their last tour further justified their decision to stop touring once and for all in 1966. The Beatles’ last concert was held at Candlestick Park in San Francisco on Aug. 29, 1966. The only one not happy with this decision was Brian Epstein. Since his main purpose at this point was to organize their tours, there was not much left for him to supervise in the Beatles career, at least from his point of view. He became quite depressed with his diminishing role in their lives. This decision to stop touring reflected the negative aspects of fame. While on the outside, Beatlemania looked like a lot of fun, in later years, The Beatles would express the hazards of fame and celebrity including lack of privacy and fear for personal safety. George Harrison was the most vocal about his dislike of fame. In The Beatles Anthology documentary, George said being a Beatle and the pressures of fame resulted in sacrificing your nervous system. 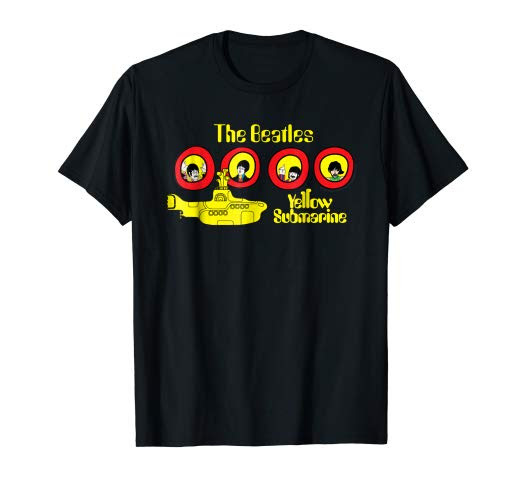 During the Fall of 1966, the four Beatles finally had several months to pursue their own interests. Time off from the Beatles proved to be beneficial for each member and for the group as well. They each pursued different areas of interest which in turn helped expose them to ideas and activities that would expand their knowledge and add to the diversity of the band’s creativity. For example, John had expressed his literary pursuits a few years earlier by publishing two books of his writings and poetry: In His Own Write and A Spaniard in the Works. In 1966, he acted in a movie, “How I Won the War,” directed by Richard Lester (Director from Help! and A Hard Day’s Night). Meanwhile, Paul McCartney had moved out of the Asher house and bought his own house in St. Johns Wood in London. His girlfriend, Jane Asher, also encouraged him to buy a secluded house away from London, so he purchased a farm in Scotland. As the only bachelor during this time, Paul McCartney explored the culture of London and the avante garde. He composed the soundtrack to a movie entitled “The Family Way.” This was the first solo work by a Beatle. He also went on an educational safari to Africa. George Harrison and Pattie Boyd, who got married in January 1966, went to India for two months so that George could study the sitar with Ravi Shankar. He also learned a lot about Hindu religion and culture. Ringo enjoyed himself at home with his family. He and Maureen had one baby, and another on the way. He also went out frequently in London’s social scene during this time. The Beatles agreed to reconvene in December 1966 to begin work on their next album which would become Sgt. Pepper. Coincidentally, they all grew moustaches during this time. The stage was set for the “studio years” and their biggest triumph to date.